In the fast pace era of today, many people living in Pakistan have a dream of buying new bikes equipped with spectacular features and specs. The top names in the motorbike industry of Pakistan include the names like Suzuki, Honda, Yamaha, and United. All these motorbike manufacturing companies have introduced many bikes from 70cc to 150cc for the consumers in Pakistan. The bikes of all these motorbike manufacturing companies have been manufactured by a team of highly qualified engines, who have the expertise to manufacture bikes according to the latest trends and specs. The question here arises is that which are the top 5 upcoming bikes in Pakistan 2019 which the consumer should buy to enjoy a comfortable driving experience. Well, don’t worry here in this blog I am going to discuss the top 5 bikes in Pakistan 2019 which the consumer should buy. Honda Pakistan is planning to introduce new Honda CG125 2019 model for the consumers living in Pakistan. Honda CG125 2019 price in Pakistan is yet to be officially confirmed by the Atlas Honda officials. However, there are rumors in the motorbike industry regarding its price that it will be around Rs.110,900. This 125cc motorbike by Honda is going to be equipped with spectacular features and specs. 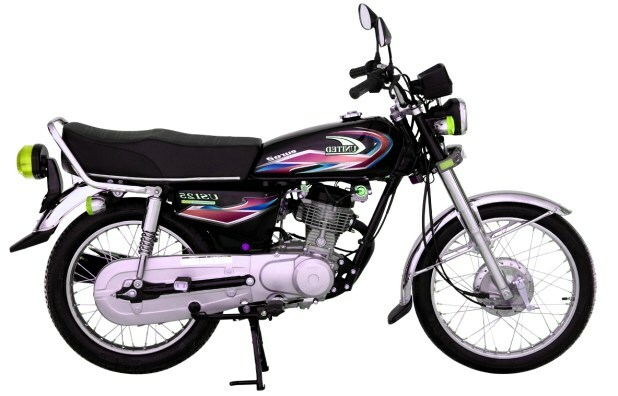 This 125 model bike by Honda is considered among one of the top-selling 125cc bikes in Pakistan. This bike is designed by a team of experienced engineers and technicians, who have manufactured this bike in an effective manner. 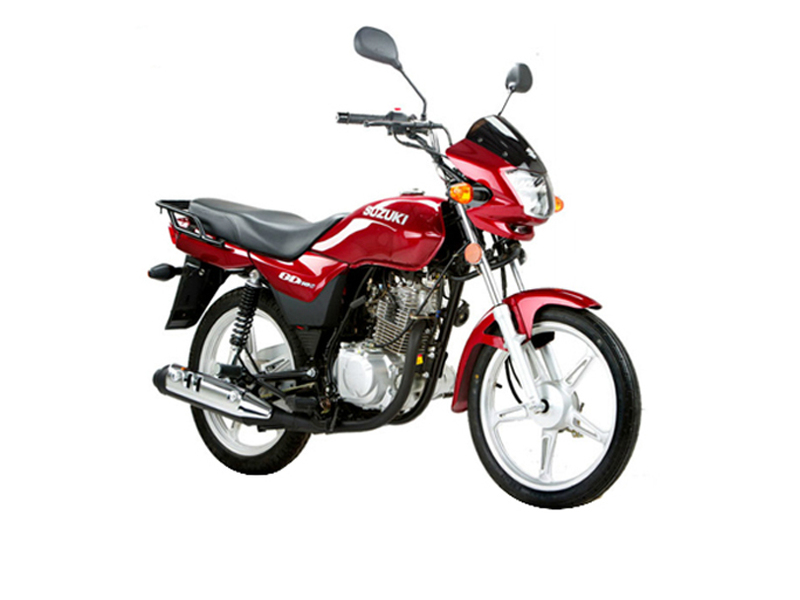 It is a bike which is high in demand among the young generation, who have the thrill to enjoy 125cc bike ride by Honda. Honda 125 2019 model is going to be powered with 4-stroke single cylinder EURO II technology 125cc engine, which is mated with the 4-speed transmission. It will be featuring an aggressive design language with catchy graphics on the fuel tank and side covers. This bike is certainly an innovative invention of Japanese technology. 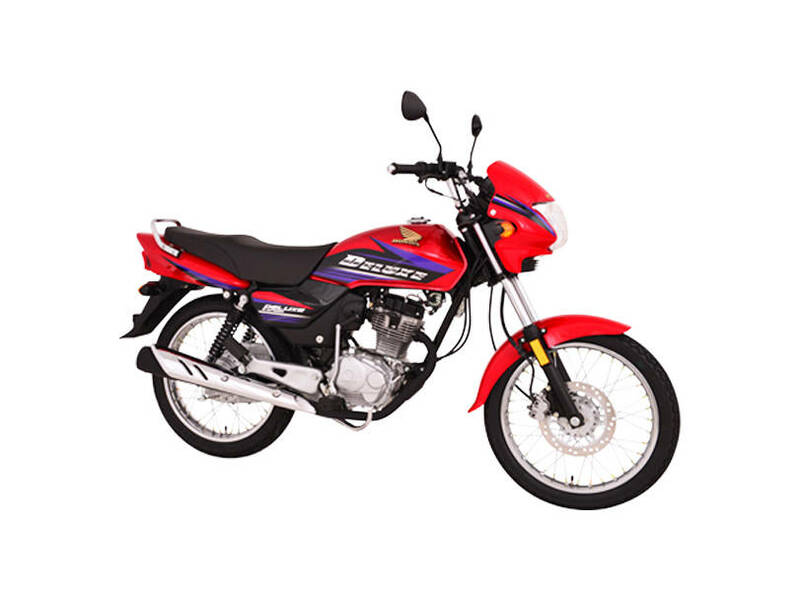 The reason found behind the popularity of this 125cc bike is its economical price and competent resale value. It is going to be equipped with powerful shocks, comfortable seat and fuel-efficient engine. Honda Deluxe 125 is an upgraded model of the Honda 125 bike available in the motorbike industry. 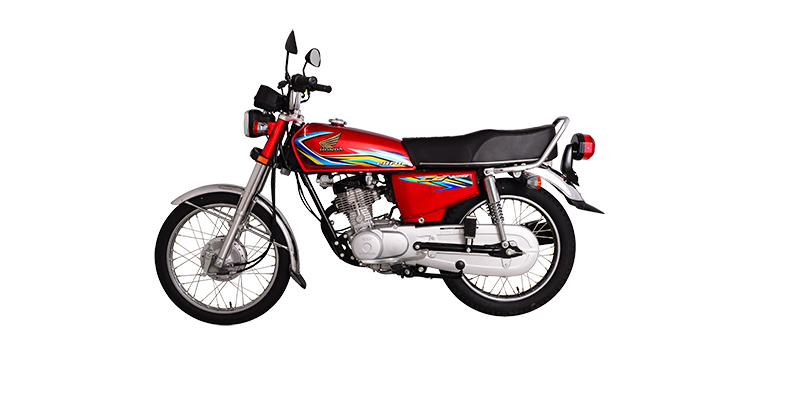 Honda Pakistan is planning to introduce a new model of Honda Deluxe 125 for its consumers. Honda Deluxe 125 2019 price in Pakistan is not officially confirmed till date by the company officials. However, as per the rumors in the motorbike industry regarding Honda Deluxe 125 price is that it will be around Rs.129,500, which is quite competitive as compared to other brand 125cc bikes available in the motorbike industry. This upgraded model of 125 by Honda features premium build quality and aggressive design language. It is going to be equipped with a powerful and fuel efficient 4-stroke single cylinder air cooled EURO II 125 cc engine, which is mated to a 5-speed transmission. The latest EURO II technology allows this bike to give an impressive fuel economy. Honda Deluxe 2019 is expected to be featuring powerful shocks, new graphics on the fuel tank and side covers, comfortable seat, hydraulic brakes, and firm road grips are the features which will surely be loved by the young generation of today. Moreover, people go for this 125cc bike due to its durable build quality and reasonable resale value. Yamaha Pakistan is a well-known motorbike manufacturer which is recognized among the consumers for manufacturing state of the art motorbikes equipped with powerful engine and specs. The company is planning to introduce a new model of Yamaha YBR 125 G which is expected to be featuring new design language along with new and updated features and specs. 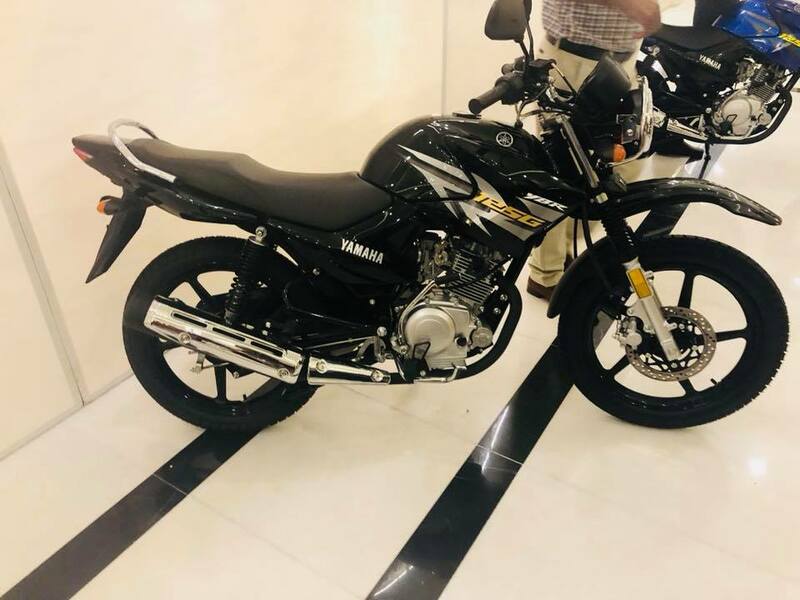 Yamaha YBR 125 G 2019 price in Pakistan is yet to be officially confirmed by the Yamaha officials, but according to the rumors in the motorbike industry related to its price is that it will be around Rs.137,500. The new model of Yamaha YBR 125 G will be giving an overall appealing look of a trail bike, which is quite impressive. It is going to be powered with 4-stroke single cylinder air cooled 125cc petrol engine which is mated with the 5-speed transmission. It will be featuring kick and electric start starting options which are quite impressive. The key features which are expected to be seen in this upcoming 125cc bike by Yamaha include alloy rims, sporty body shape, aerodynamic design, and comfortable leather seat. Yamaha bikes in Pakistan are recognized among the consumers for their extravagant build quality and powerful engines. United Motorcycles is a well-recognized motorbike manufacturing company, which is known for manufacturing midrange motorbikes for the consumers in Pakistan. They have launched a 125cc motorbike by the name of United US 125 EURO II for their consumers in Pakistan. In 2019, they are planning to launch a new model of this 125cc bike for its consumers. United-US 125 EURO II 2019 price in Pakistan is not officially announced by the company officials, but as per the fan-made expectations regarding the price of this 125cc bike by United Motorcycles is that it will be around Rs.68,500. This bike is highly recommended to the consumers who are interested in buying a midrange 125cc bike which is equipped with high-end 125cc bike features and specs. The reason behind the popularity of United 125 bike is its reasonable price and amazing resale value as compared to other local and known brand 125cc bikes available in the motorbike industry. The new model is going to be equipped with a powerful 4-stroke single cylinder air cooled 125cc engine which is mated to the 4-speed transmission. It will be featuring an aggressive design language with appealing graphics on the fuel tank and side covers. Suzuki bikes in Pakistan are known among the consumers for manufacturing durable and fuel efficient bikes for the consumers. They have introduced 110cc bike by the name of Suzuki GD 110s for its consumers. In 2019, the company will be introducing a new model of this 110cc bike for its consumers in the country. Suzuki GD 110s 2019 price in Pakistan is not confirmed yet by the company officials. Though, according to some expectations regarding this Suzuki 110 bike price is that it will be around Rs.131,000, which is quite reasonable as compared to other 110cc bikes in the motorbike industry. The 2019 model Suzuki GD 110 is going to be featuring a new design language with catchy graphics on the fuel tank and side covers. It is expected to be available in two appealing colors grey and black. Moreover, it will be featuring an aggressive design language along with alloy wheels. It will be equipped with a fuel efficient 4-stroke single cylinder air cooled 110cc petrol engine.